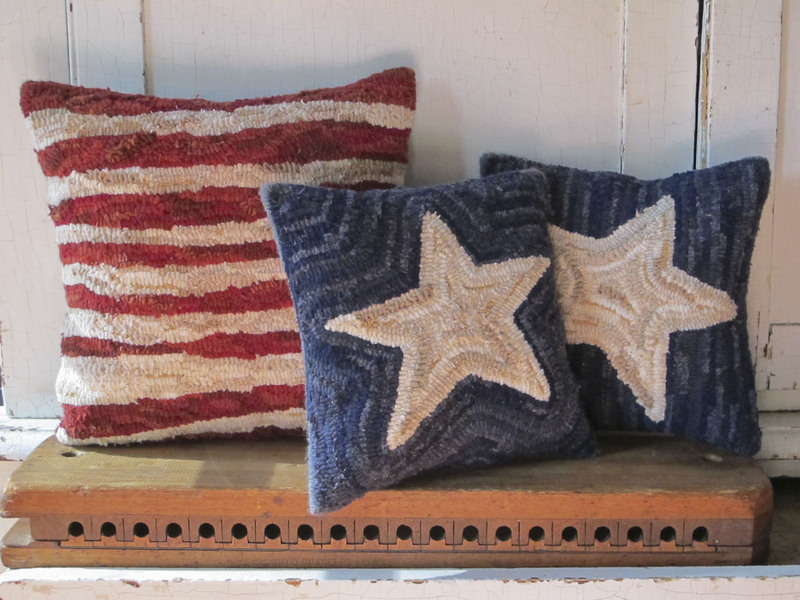 Celebrate the good ole’ red, white, and blue with this set of hand hooked Stars and Stripes pillows. 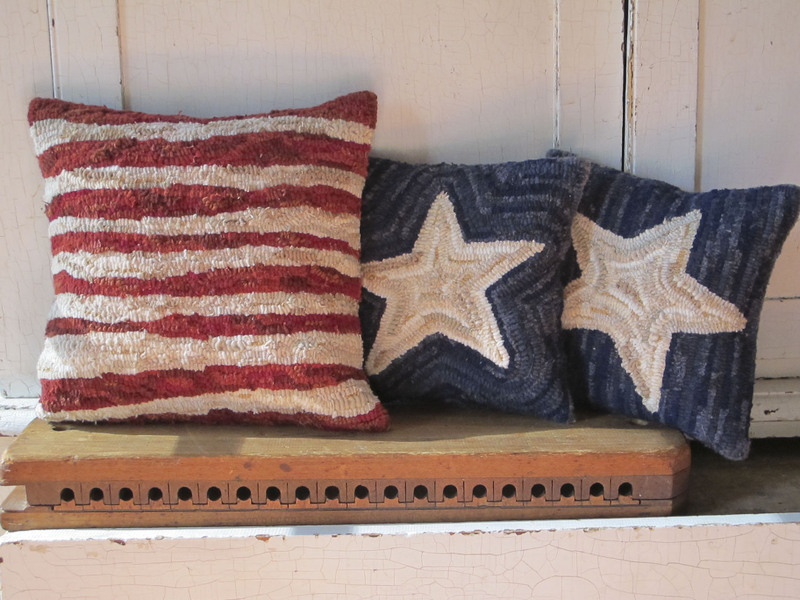 Perfect for the cottage, porch, and patriotic decor. I hand hook each in such a way to represent movement and an aged patina. Stripes measures about 12″ square. Stars are about 9″ square. Each piece is individually hooked for you, so please allow for variation from the photos. 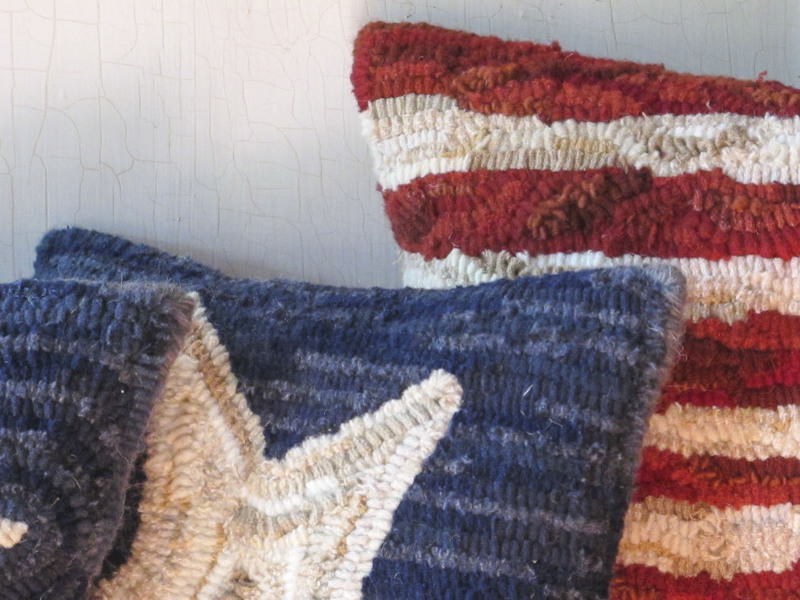 Each pillow is unique and a one of a kind piece of Americana. Please allow about four weeks for completion prior to shipping.